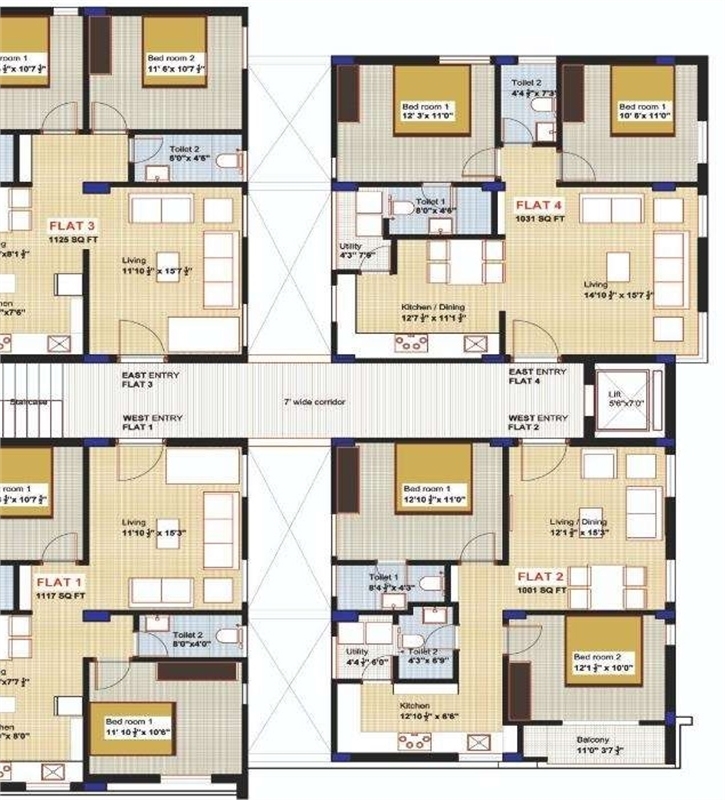 Property Description: Project Highlights: Eden towers is a super deluxe two-bedroom apartment complex located in Saket township which is close to AS Rao Nagar and ECIL. The project is designed as per Vaastu and is surrounded by villas & Gated communities. Project highlights includes 24hrs security, power for common areas, children’s play area, ample parking space, etc. 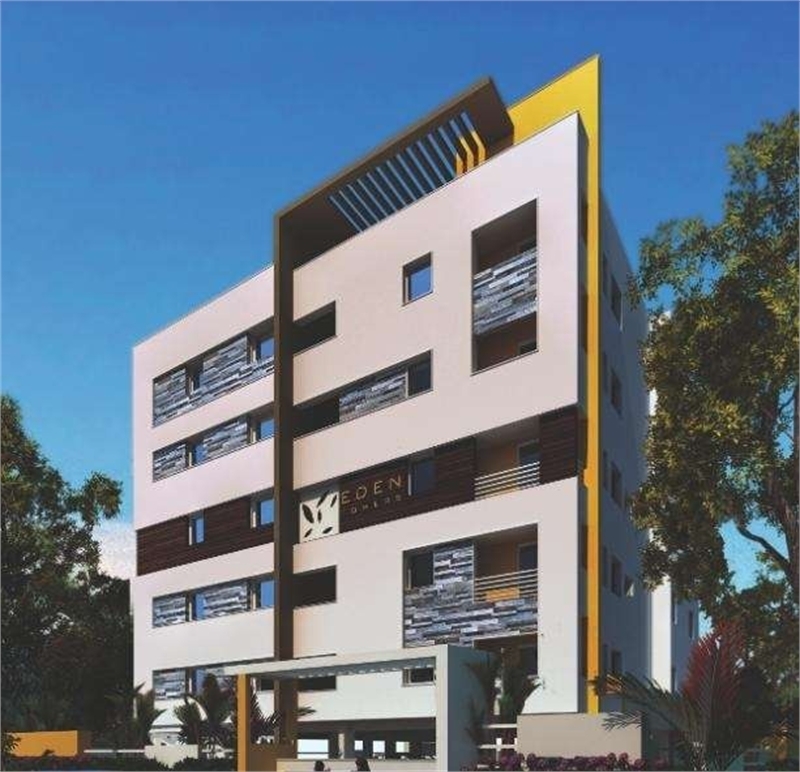 Location Advantages: Beside Vorla Laxmi Narsamma convention centre,2mins drive to billabong international school,5min drive to Asian cinema (Radhika),5min drive to shopping complexes (Chennai shopping Mall, Max, Malabar Gold etc.,) 5min drive to well known hospitals,15mins drive to Metro railway station,15min drive to Secunderabad railway station. SPECIFICATIONS RCC Framed Structure: Columns, beams and slabs in RCC M20 Grade concrete Super Structure: First class Red Bricks in Cement Mortar Finishes: Walls (Internal): Cement plastered Altek putty finish with premium emulsion paint. Walls (External): Cement plastered with emulsion paints of Asian/ICI make or equivalent. Parking/Common Areas: Columns/Walls/Ceiling with cement plastered paints with oil bounded distemper. FLOORING: Toilet Walls: Wall cladding dado in ceramic tiles up to lintel level – door height (7’0”) Kitchen Walls: Dado ceramic tiles of 2’0” height above the kitchen counter. Black granite kitchen platform with stainless steel sink. Kitchen / Toilets: Anti-skid ceramic flooring. All other areas in flat 2’0”x2’0” vitrified tiles. Corridor / Steps: Mat finished vitrified floor/Marble flooring Windows/Doors: Windows are sliding open-able, Glazed UPVC windows aluminum powder coated with mosquito mesh. Main Doors: B-teak wood frame and shutter aesthetically with melamine polishing and designed hardware of reputed make. Internal Doors: M-teak wood frames with shutter laminated flush shutter polished with standard fitting and lock Water proofing: Waterproofing in toilets, utilities and terrace. Plumbing: (Standard quality reputed make) Master toilets: Wall Hung European W.C., Concealed single lever shower mixer. Counter wash basin, single lever basin mixer Aluminum poly carbonate sheet shower enclosure. Other toilets: Floor mounted European W.C. half pedestal wash basin. Wall mixer with shower. Basic solid waste pipe line SW/PVC, water supply line in CPVC. Electrical: (Standard quality reputed makes) Concealed copper wiring. Modular switches.TV, Internal connection/Geyser/cooking range/Refrigerator exhaust fans. Miniature circuits Breakers. 3phase with individual meters. Generator Backup: For lift, common area Lighting/one light and one fan in hall and master bedroom in every flat.Builtup area and carpet area are respectively 1001.0 Sq. Feet and 900.0 Sq. Feet. This property has 2 number of bedrooms, 2 bathrooms and 2 balconies. The property is on 1 and total floors in building are 5 floors. Transaction of property is Resale. We want a price of 35.03 Lakh.